I wanted a rubric that would mirror NYS's 4-point expository writing rubric used to score extended responses on the NYS ELA test. I wanted students to be familiar with this rubric so that they would be well prepared for their state test. However, I was having a little trouble finding a child friendly version of this rubric. One that I could use on the fly with multiple genres because lets face it, there just isn't enough time in the beginning of the school year. I used the same categories, I just simplified them and organized my rubric as a checklist. In the beginning of the year, I plan on checking off each box for student strengths, leaving them blank if that specific area was a challenge, and then counting the checks to get a quick score out of 4-points. 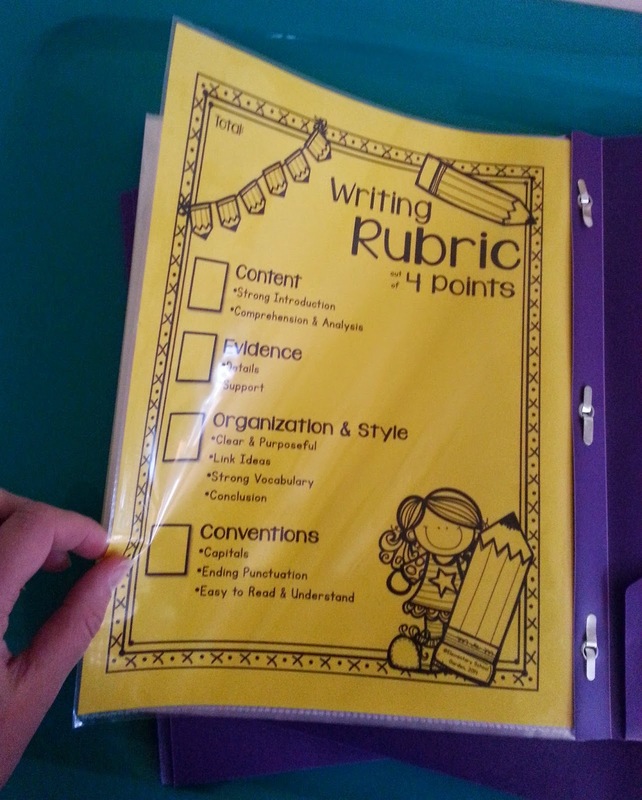 As we progress through the year, and dig deeper into the greater meaning of each rubric category, I plan on giving students a score of 1-4 for each category. This will provide me with a total of up to 16 points which I will then divide by 4 to get my usual score out of 4 points. 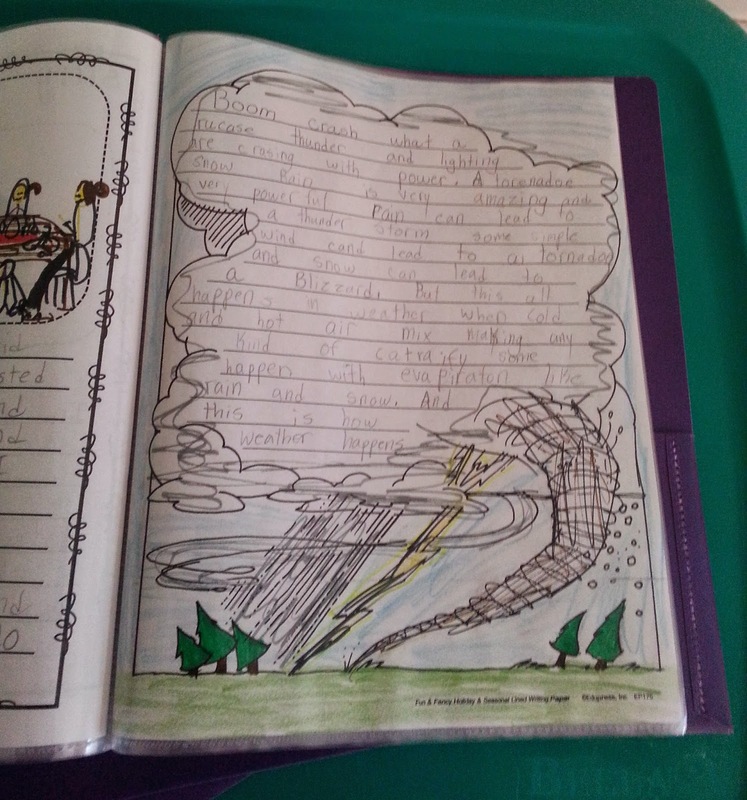 Throughout the week students have been working on writing during reading centers. On Friday, I have been providing them with a little time to select their favorite piece, edit & revise it, and submit it for scoring. 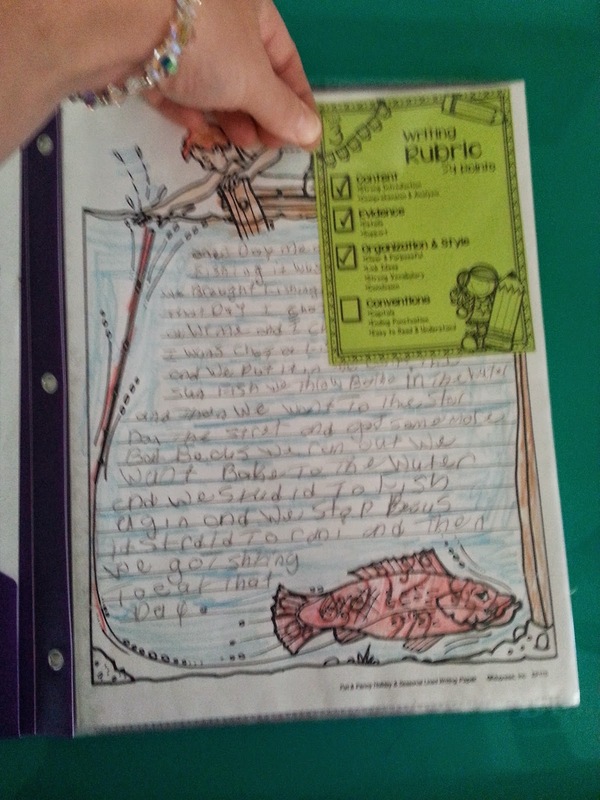 To submit their writing, I have them insert their favorite piece into the plastic sleeves I placed in their purple writing folders. 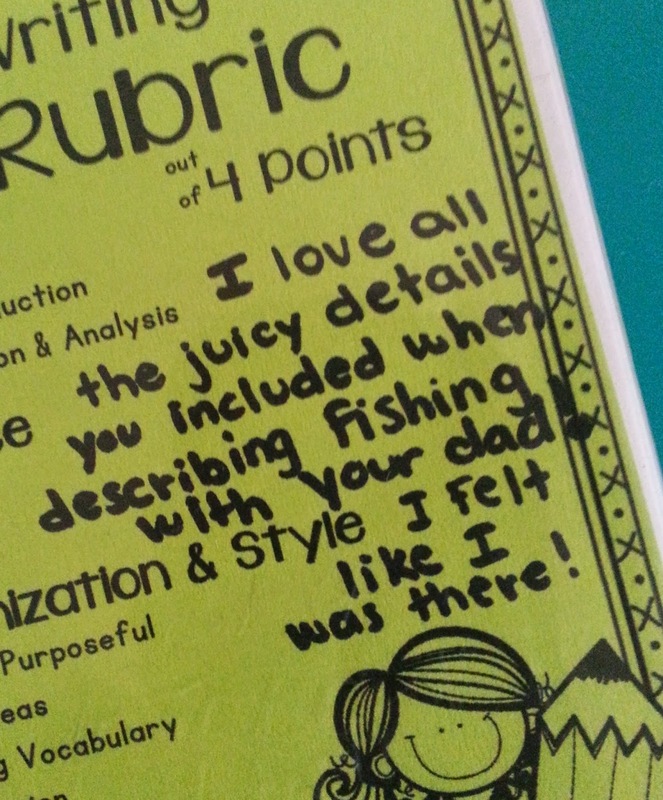 When I score their writing, I just slip the rubric into their writing sleeve with the corresponding piece. That way they can easily see how they did. However, I have not written on or marked up their wonderful writing piece. I left just enough room along the side to jot down a few notes, compliments, or suggestions for students. I've also placed a large copy of the rubric in the back of each folder for students to refer to when selecting a piece to be assessed. 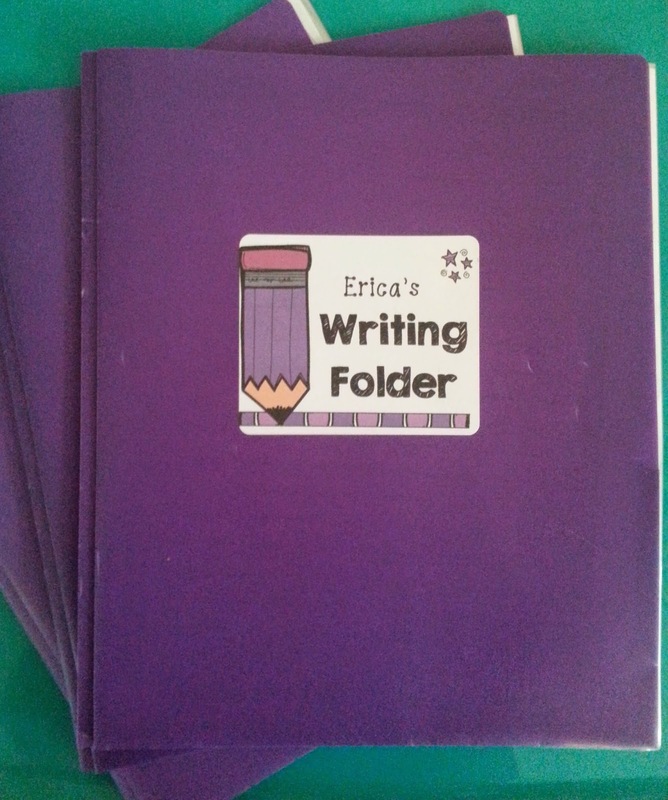 I hope these writing folders will serve as a wonderful portfolio of their writing in fourth grade. 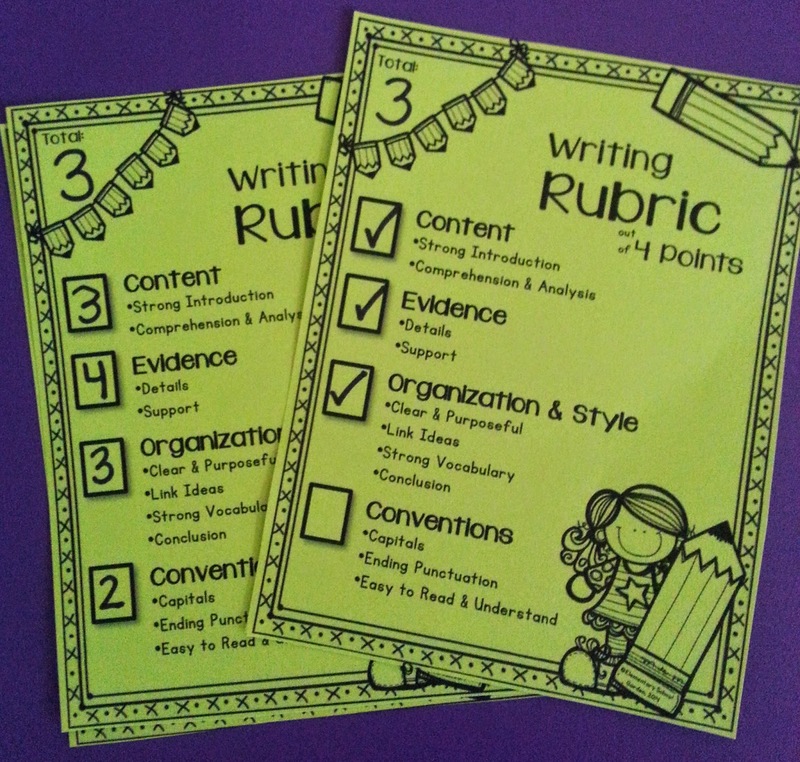 Snag a free copy of my writing rubric here. How are you scoring writing this year?